Happy Friday! 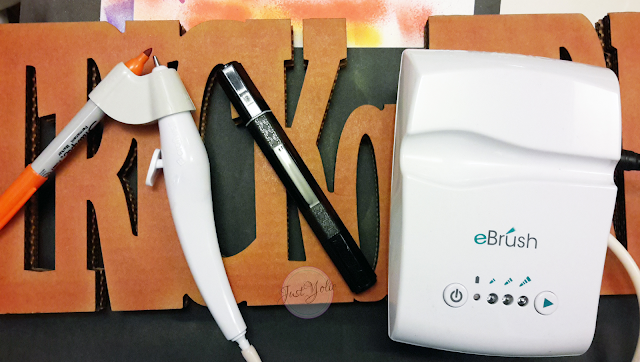 This is Yolie with the Team eBrush bringing you another Halloween project. 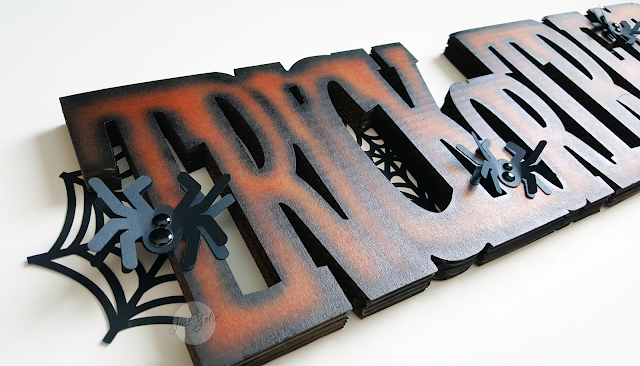 I purchased the corrugated sign after Halloween, when everything is practically is given away. I got this sign for .50 cents and it measures 21.5" l x 6.8" h.
I eBrushed the sign with the Spectrum Noir orange, but the color wasn't vibrant enough on the corrugated background. So I used an orange Sharpie along with the black Spectrum Noir. I used the 3rd setting on the eBrush since I had more to cover. I also used the black market to cover the brown along the edges of the corrugated sign. I added spider webs, but then realized it needed spiders too. There's a slight crack on the R in treat, but I'm ok with it.